Created for the advanced professional. 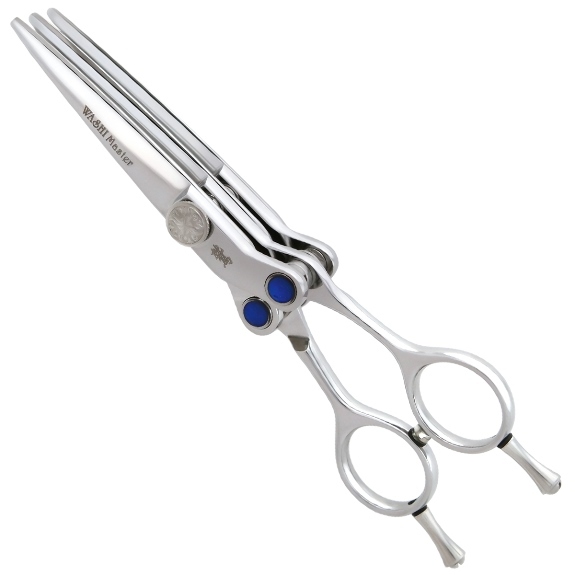 This 3 blade concept creates three times the cutting power for the stylist who needs to get it done fast. Point cut deeper and faster. Slice through the hair like never before. Forged from Japanese Hitachi VG10 Steel and a patented snap on system. Create a masterpiece! Includes a case and a silver texture razor.